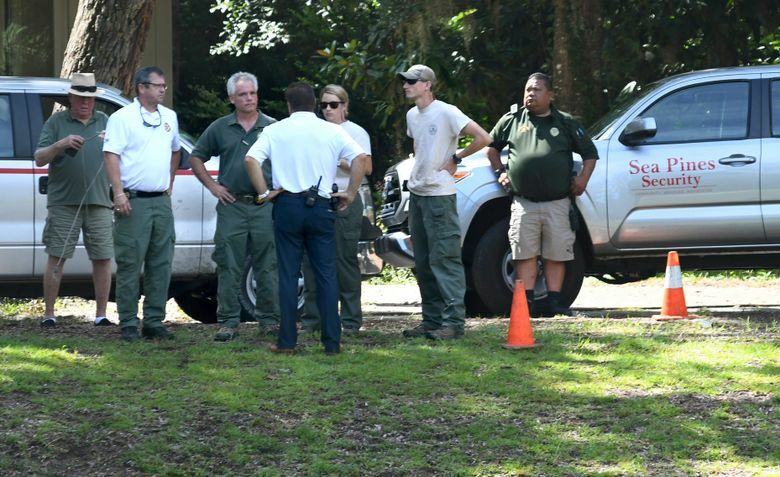 The 8-foot (2.5-meter) alligator was later found and killed, said David Lucas, a spokesman for the South Carolina Department of Natural Resources. A neighbor was caring for the dog Monday afternoon, sitting on Cline’s front porch. She declined to comment to a reporter other than to say the dog was unharmed. Residents of this resort island off the coast near the South Carolina-Georgia line say alligators are a fairly common sight — especially in the water hazards dotting Hilton Head’s golf courses. Barbara Brigham walks her dog, Pippen, along the same golf course — always making sure it’s on a leash. She’s heard of other people’s dogs going missing on the island, but never of an alligator attacking a person. More than a year ago, Brigham said, she was out walking when a gator emerged from a pond in front of her. “It looked at me and I looked at it and we both ran in opposite directions,” she said. It’s common practice to kill an alligator when one gets reported for an attack or other aggressive behavior, said Capt. Robert McCullough of the Department of Natural Resources. 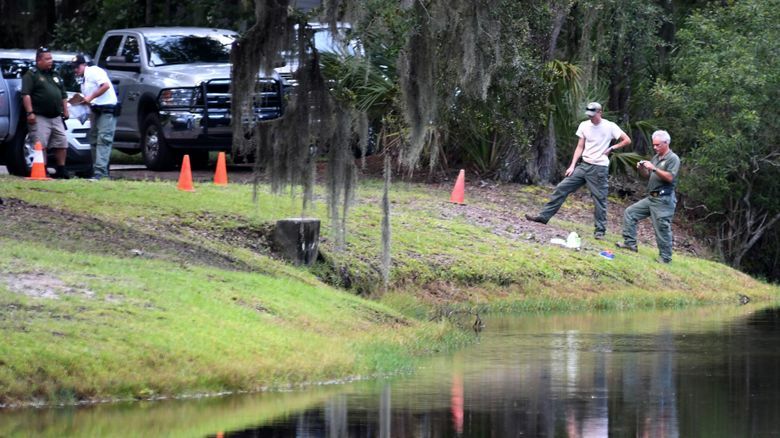 He said it will take some time before authorities determine if the alligator shot Monday is the one that killed Cline. Alligator attacks on humans are extremely rare, Lucas said. 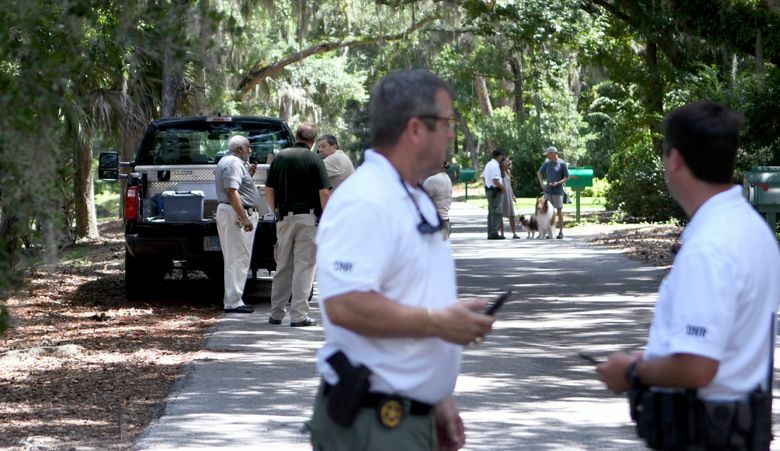 Sea Pines said in a statement that it was helping to assist authorities. The resort is in the southern third of Hilton Head Island, located along 5,000 oceanfront acres (2,023 hectares), its website says.